SCVHistory.com LW2791a | Film-Arts | Actors Harry & Olive Carey, 1919. 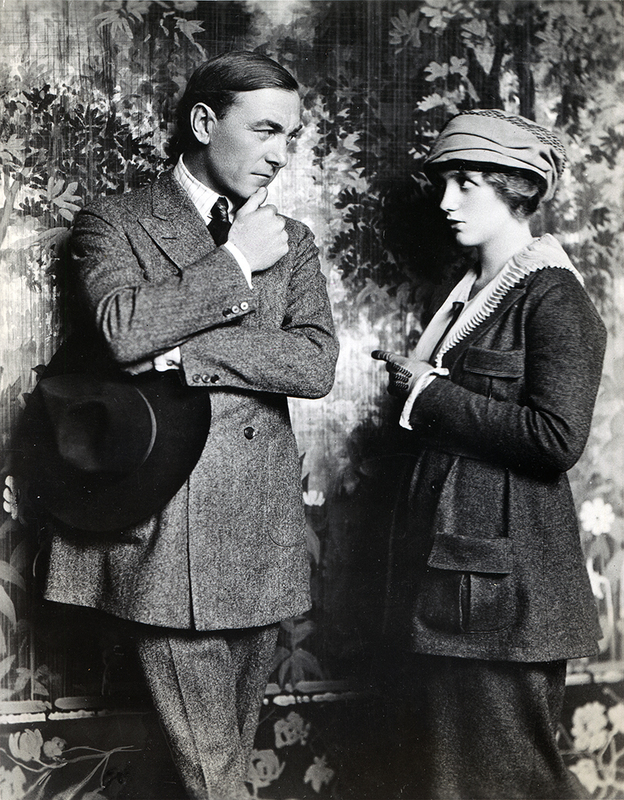 Actors and Saugus residents Harry and Olive Carey in 1919. There are a couple of problems with that caption. Also, in 1919, Olive wasn't "then his leading lady on the screen." In 1916 she took a 15-year hiatus from acting; she devoted her time to managing Harry, and then to raising his two children — Harry Jr. (Dobe), born in 1921, and Ella (Cappy), born in 1923. Olive returned to the screen in 1931 when she accompanied Harry to Africa to make "Trader Horn" with Edwina Booth and Duncan Renaldo. My mother was a young actress of sixteen at Universal Studio at the same time Jack Ford was working there as a combination propman-stuntman for his brother Francis Ford, who was a major star there. Her father, George Fuller Golden (christened George Michael Fuller), had been a famous monologist in vaudeville. He, George M. Cohan, and Jim Corbett were the founders of the first actors' union for stage performers, the White Rats of America. All of us Careys are very proud of that. Olive Fuller (Golden was added by her father as part of his stage name) was born on January 31, 1896, and John Ford was born on February 1, 1894. Pop [Harry Carey Sr.] was pushing forty before Mom and John Ford were able to vote. All the young people at the studio hung out together, so it was my mom who first introduced John Ford to Harry Carey. Pop was responsible for Ford being a director. He convinced the head of Universal, Carl Laemmle, to let Jack direct his next movie, which he did, but they both took a cut in salary. The two of them would pack up camera, cast, and crew and make silent movies in the desert wastes of Southern California. 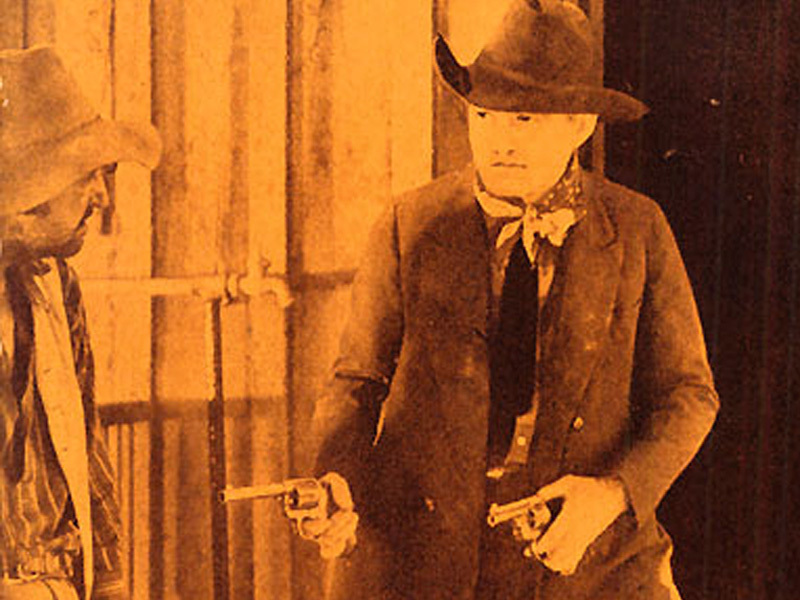 They [Harry Sr. and John Ford] were a fantastic pair until they split up in 1921. LW2791a: 9600 dpi jpeg from original photograph purchased 2015 by Leon Worden.